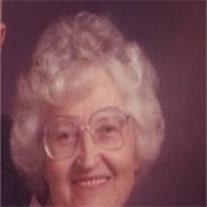 Mildred Ann Halm, 97, passed away May 17, 2012 in Mesa, Arizona. Funeral services are Tuesday May 22, 2012 at 10 AM, preceded by a visitation at 9 AM at the LDS Adobe Building, 2152 East Adobe, Mesa, 85213. Arrangements by Bunker’s Garden Chapel.